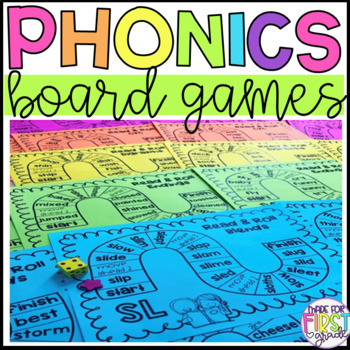 22 low prep phonics board games! 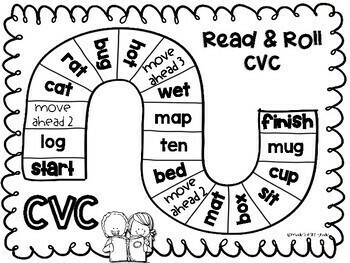 Includes: CVC, Blends, Digraphs, and Endings. Just print on colored paper, laminate and add dice! Perfect for centers, small groups and partner work!